Providing high quality services to Drouin, south eastern suburbs and surrounding areas. Dirt Works Plant Hire is your locally owned and operated earthworks specialist. We have over 25 years of industry experience and provide high quality workmanship. We provide a wide range of excavating and earth moving services. Give us a call today to discuss your individual requirements and to arrange an appointment. Dirt Works Plant Hire has a 12 tonne Tip truck to cater for all your heavy haulage needs. 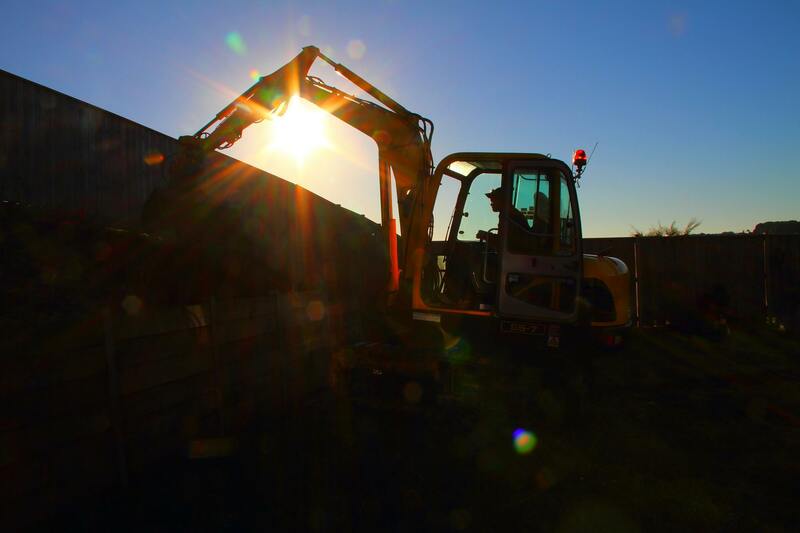 We can remove waste or soil, deliver and spread Quarry products such as soil, sand, rock and mulch. We are able to relocate our machinery to site at short notice using our own trucks and trailers thereby minimizing transportation time and cost.